One of the greatest lies of the modern financial system (and that’s really saying something) is about inflation. The puppet masters who control the system have managed to convince people that deflation = bad, and inflation = necessary evil. Perhaps the even bigger lie is that of the actual inflation statistics. They tell us that there’s no inflation… or minimal inflation. And they tell us that the ‘target’ rate is 2%. Bear in mind that 2% annual inflation means your currency will lose over 75% of its value during the course of your lifetime. But these figures are massively understated. And you don’t have to look hard for proof. 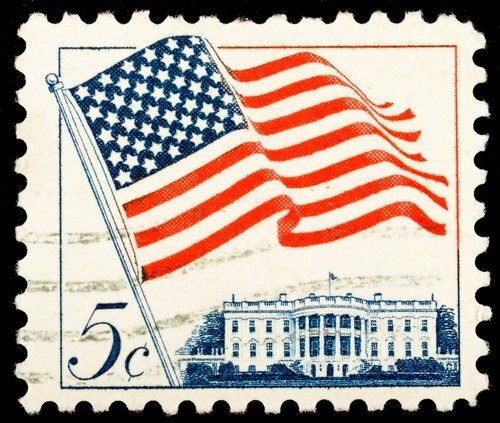 US postage stamp rates, for example, are set to increase this weekend. They’ve been going up almost every year since 2006. This weekend, the rate for a one-ounce first class letter will rise to 49c from 46c, a 6.5% increase. And the price to send a postcard will rise from 33c to 34c, a 3.0% increase. If you take a longer-term view, the price of a postcard back in 1951 was just one cent. This means that the dollar has lost over 97% of its value against postcard shipping rates in the last six decades. According to the US Department of Labor, the average household income in 1950 was $4,237. This means that the average US household could afford to send 423,700 postcards back then. Today’s median household income is $51,017 (and that’s from a majority of dual-income households). This means the average family in the Land of the Free can now afford to send about 150,050 postcards. It’s a huge difference. The standard of living denominated in postcards has declined by nearly two-thirds since the 1950s. Short-term, long-term, the conclusion is the same: Inflation exists. And any suggestion to the contrary that inflation is ‘good’ or at least a ‘necessary evil’ is simply a lie. It destroys both purchasing power and standard of living. Rational, thinking people need to be aware of this. If you hold a lot of your savings in a bank denominated in paper currencies like the dollar or euro, you will lose. And I’d strongly urge you to consider holding at least a portion of your savings in stronger, more stable currencies, or better yet, alternative asset classes that cannot be inflated away by central bankers. This includes productive real estate, precious metals, or even collectibles.